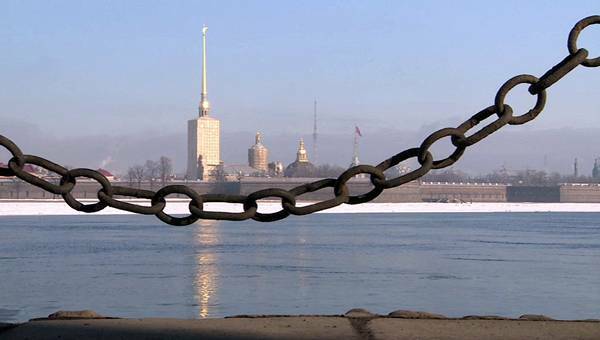 In this series, we will be discovering the most amazing places in the largest country on Earth, where life sometimes resembles a theatre – and a theatre can tell a lot about Russian Life. 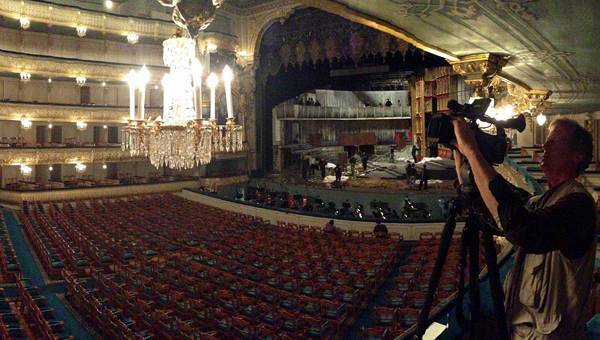 At St Petersburg’s Mariinski Theatre, there is rehearsal every morning. 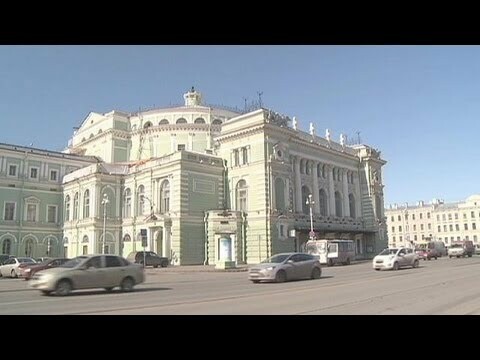 With more than 150 years of opera and ballet performances, the world-renowned theatre is a celebrated symbol of Russia’s northern capital. “I can’t imagine St Petersburg without the Mariinsky Theatre, as I can’t imagine this theater anywhere else but in St Petersburg. 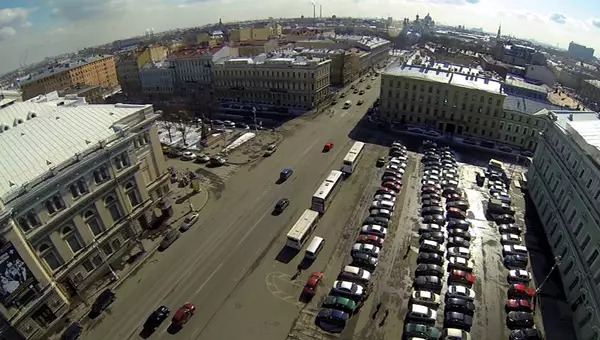 The two are the same,” says tenor Yevgeny Akimov..
“This is my home theatre, this is my home city. The Mariinsky is my life!,” says prima ballerina Diana Vishneva. 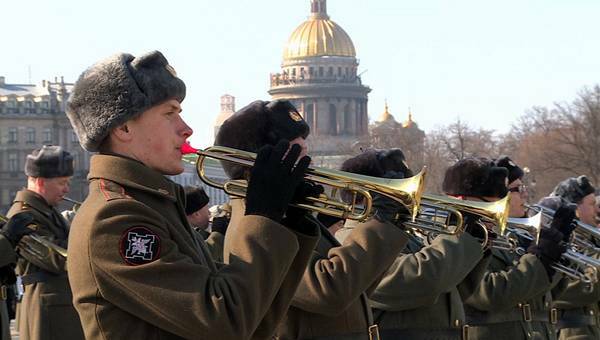 Founded in 1703 by Peter the Great, Saint Petersburg sees itself as Russia’s cultural capital. 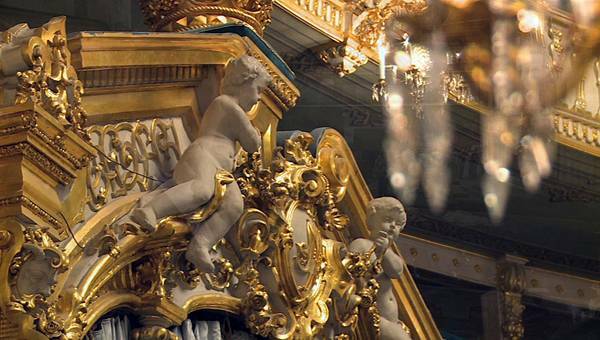 Tradition is kept alive at the Mariinsky Theatre with its constellation of opera and ballet stars, producers and designers. 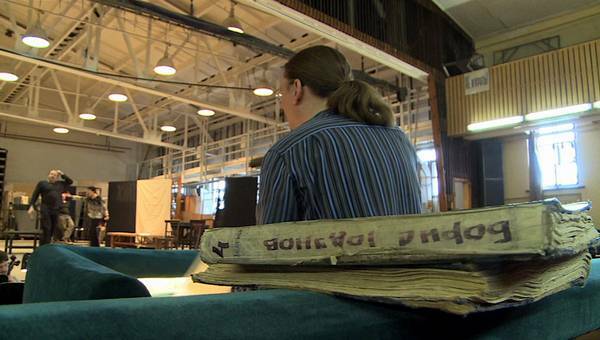 “We try to make everything by hand, because that really allows you put your heart into your creation,” says Ludmila Mekhonoshina, head of the stage scenery art department at the Mariinsky Theatre. 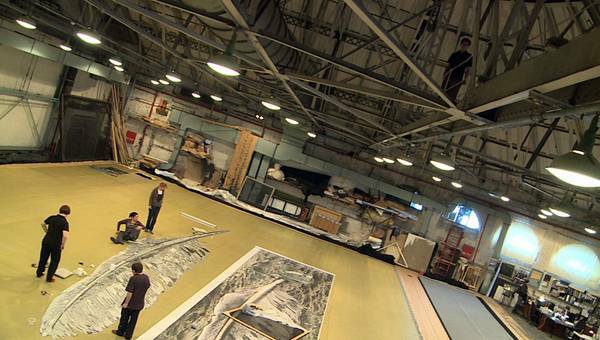 Curtain sets and other scenery are made in the rooftop hall before being lowered onto the main stage, where masterpieces by Tchaikovsky, Mussorgsky, and Rimsky-Korsakov were premiered. 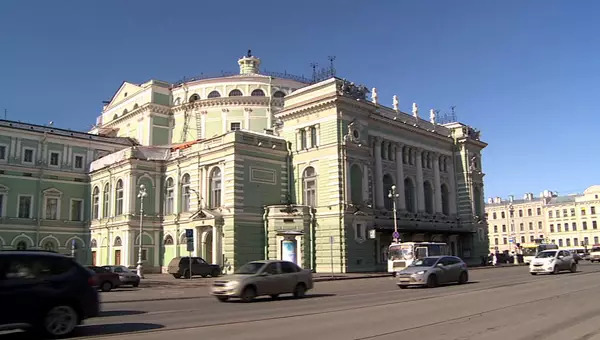 “This is the theatre where Russian opera was born and thrived. It’s like La Scala for the Italians – a stage that’s a focal point for everything great – that’s what the Mariinsky Theatre is, not just for St Petersburg but for Russia as a whole,” says stage director Vasily Barkhatov. 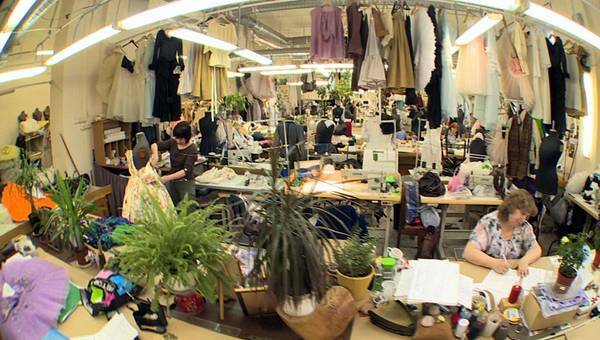 In the wardrobe department, they are never short of work – creating stage costumes for up to a dozen premieres each season. “I’ve worked in places where nobody cares about production anymore, because it’s just like factory producing. We produce a lot of works, but I never feel like I’m working in a factory. There’s a kind of unembarrassed enthusiasm for creativity, which is a real joy,” she says. By the evening, the stage is set for another performance. “Boris Godunov”, an opera by Modest Mussorgsky based on Alexander Pushkin’s tragedy, has been running here since the 19th century. For this new production, British director Graham Vick sets the classical plot in modern Russia, contemplating decades of turbulent power struggle, social injustice and brutality following the collapse of the Soviet Union. “Well, it actually does look like that from abroad. Whether we like it or not. 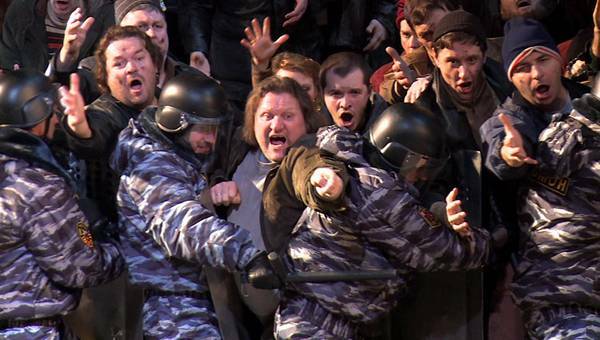 This is how we, Russians, are today,” says bass-baritone Yevgeny Nikitin. As the golden age of Russian culture keeps shaping its national identity, its classical heritage remains as pertinent as ever. “Human nature doesn’t change that much: it’s the same today as what it was three centuries ago. Power, vanity, greed. 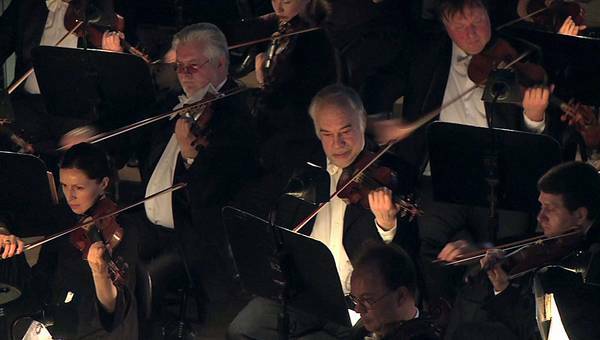 History is always repeating itself,” says baritone Alexei Markov. Join us for the next edition of Russian Life from the Caucasus Mountains. Having visited other Russian cities, the first thing you notice in the northern capital is how surprisingly well-preserved is its historic architecture. Fusing Baroque, Neoclassical and traditional Russian-Byzantine influences, the city center, as well as some of the magnificent parks and palaces in the vicinity remain a living monument for Russian Empire’s architectural heritage. 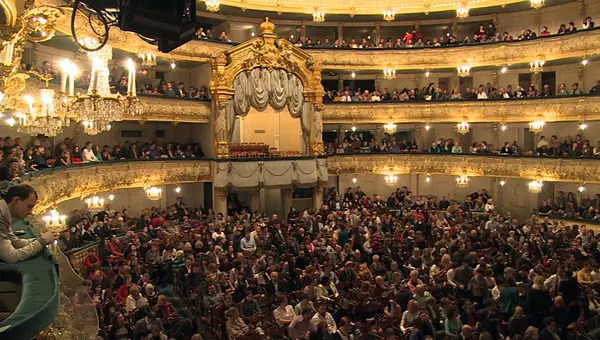 We came to Saint Petersburg to film the first episode of this year’s Russian Life series: the Mariinsky Theatre staging Graham Vick’s interpretation of “Boris Godunov” was an excellent series opener, raising the curtain on the modern Russia that keeps reflecting upon its turbulent past in search for a renewed identity. The opera, created by Modest Mussorgsky and premiered at the very same theatre in 1874, is based on Pushkin’s eponymous tragedy with a Shakespearian storyline of power struggle, treachery and cruelty during Russia’s Time of Troubles between two royal dynasties. The parallel with the decades of political chaos and social crises after the collapse of the Soviet Union was too obvious to miss, even though some of the leading cast members told me they found Vick’s production a bit superficial. The inner workings of the theatre, hidden from a common spectator, are nothing short of amazing. Guided through a labyrinth of narrow corridors, obscure passages and steep stairways, we kept discovering luminous halls where decorations were made, actors and dancers rehearsing their parts, designers adding final touches to their costumes for upcoming operas. 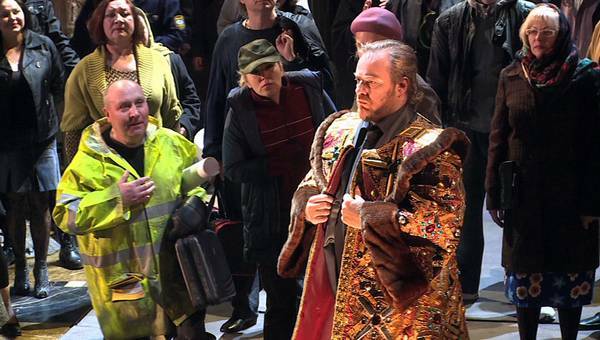 It’s a busy time for the Mariinsky Theatre that in few weeks is going to reveal to the public its new stage, better suited for complex productions. 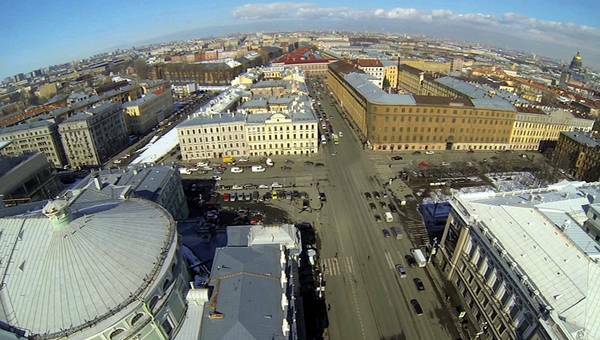 The modern glass-and-concrete building, a short bridge away from the historic Theatre, raised controversy among the Saint Petersburg cultural elite who weren’t much impressed with the exterior design. But maybe, like everything Russian, it’s what’s inside that counts.